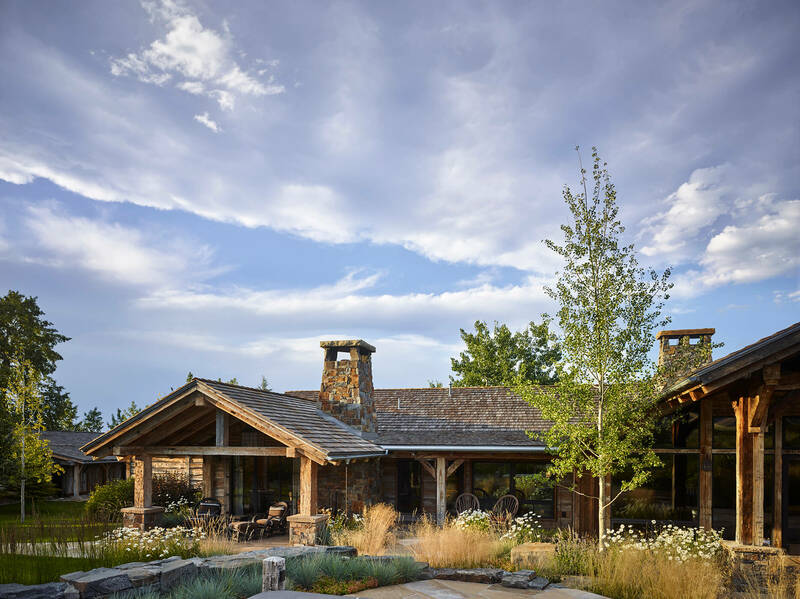 Beginning life as a barn in Vermont, this lodge provides the perfect gathering place for a Chicago family. Like many things in the American West, this lodge has its roots in the East. Beginning life as a post and beam barn in Vermont, this reclaimed structure served as the primary focus with extensions leading to the master suite, garage and artist’s studio all surrounding an outdoor patio replete with fireplace. The perfect place for this expanding Chicago family to gather and reconnect for skiing and fishing.